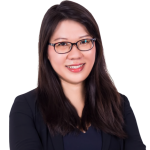 Yeh Cher is an associate analyst in BowerGroupAsia’s Kuala Lumpur office. She supports BGA clients based on her expertise in public affairs, investment analysis, and political economic risk assessment. Yeh Cher focuses on healthcare and pharmaceutical sectors at BGA. Yeh Cher earlier did research at the Institute of Diplomacy and Foreign Affairs on port infrastructure investment, focusing on Malaysia and Indonesia. She also closely follows developments in Southeast Asia and on China’s Belt and Road Initiatives. Prior to joining BGA, she worked as a journalist reporting on East Asia’s market trends and issues. Yeh Cher obtained her master’s degree in strategy and diplomacy from a joint program between the Ministry of Foreign Affairs and the National University of Malaysia. She is also a member of Malaysian Association for American Studies. She earned a bachelor’s degree in liberal art studies from The University of Hong Kong. She speaks Mandarin, Malay, Cantonese and Hakka.